To read the full KTTS article, click HERE. Frisco, TX. (March 22, 2017) – We have officially opened our second location in Frisco on Wednesday, March 22. We will announce that location's official Grand Opening Celebration at a later date. We currently have locations throughout Missouri, Arkansas, Colorado, Illinois, Kansas, North Carolina, Oklahoma, Tennessee and Texas with more locations in other states opening soon. Andy's Frozen Custard in Oklahoma City will be holding open interviews for their second OKC store, located at 15200 Penn Crossing. Andy's will be hiring for store associate, shift supervisor and assistant manager positions. You must be at least 16 to apply. If you are unable to make the open interviews, you can apply online at eatandys.com/oklahoma-careers or visit us at our Warr Acres store to pick up an application. Andy's Frozen Custard Makes List of "What to do During Your Visit of Top Friendly Cities"
Based on industry research and traveler feedback, Andy's Frozen Custard has been listed as one of the "things to do" in a list of top family friendly cities. The Southeast Missouri State Department of Athletics in partnership with Andy's Frozen Custard is excited to announce a flavor election for the new "Rowdy Redhawk" concrete coming to the menu at Andy's in Cape Girardeau. Grapevine, TX (September 29, 2016) -- Andy's Frozen Custard, America's largest frozen custard-only chain, is currently hiring supervisor and store associate positions for their new Grapevine location. The company invites applicants to attend their upcoming Open Interviews on Saturday, October 1 from 11am - 4pm at the Hilton Garden Inn located at 205 W. State Hwy 114. Interested candidates attending the event should bring with them a positive attitude and dress for success, as each applicant will be interviewed on the spot by one of the hiring associates. Both positions offer flexible hours as well as benefits. The starting pay for supervisors is $12-$14 per hour. The store associate positions pay $10+ per hour. "At Andy's Frozen Custard, our employees are taught through our specialized training programs that enable our employees to succeed," said Andy Kuntz, president, Andy's Frozen Custard. 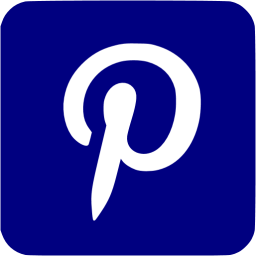 "We are excited about the continued growth of the company." The Andy’s Frozen Custard location in Grapevine is set to open in October. Andy’s Frozen Custard, the freestanding quick service frozen dessert business, announced today that their number one seasonal treat, the Pumpkin Pie Concrete, is now available at all Andy’s Frozen Custard store locations. Throughout the fall season, while supplies last, the Pumpkin Pie Concrete will be available at all locations. Not only is the treat available as a concrete, but also as a take-home quart for fans to enjoy anytime they have a pumpkin craving. Inspired by the spicy flavors of fall, the concrete is made with a whole-piece of freshly baked pumpkin pie with Andy’s “made fresh hourly” vanilla Frozen Custard. The pumpkin pie itself is made every day at each of the stores with the company’s own special recipe. Andy’s Frozen Custard Pumpkin Pie Concretes have been appearing seasonally in the stores for over two decades. For a full list of seasonal offerings, visit www.eatandys.com/seasonaltreats. Come by your neighborhood Andy’s Frozen Custard this fall, and have a Pumpkin Pie Concrete - you’ll be glad you did! We invited the Glendale Falcons (football team in Springfield, MO) to the Andy’s location on East Sunshine in Springfield. While there, the team was challenged to create their own custom concrete, in which the coaches then judged which concoction was the best. Want a sweet career? Andy's of North Dallas is hiring! Andy's Frozen Custard in Carrollton and Frisco will be holding open interviews on Friday, September 9th from 1-5 pm at our Carrollton store, located at 1733 E. Hebron Parkway! We will be hiring for store associate, shift supervisor and assistant manager positions. You must be at least 16 to apply. If you are unable to make the open interviews, you can apply online at eatandys.com/careers or visit us at our Carrollton location at 1733 E. Hebron Parkway to pick up an application. Want a sweet career? Andy's of Grapevine is hiring! Andy's Frozen Custard in Grapevine will be holding open interviews on Wednesday, August 24th and Thursday, August 25th from 1-5 pm at the Grapevine Chamber of Commerce, located at 200 Vine Street in Grapevine! We will be hiring for shift supervisor, assistant manager and hourly associate positions. If you are interested working in a fun, fast-paced environment, this job's for you! We provide flexible hours & benefits. If you are unable to make the open interviews, you can apply online at eatandys.com/careers. Andy's Frozen Custard in Grapevine will be holding open interviews on Wednesday, August 17th from 4-6 p.m. at our store location at 1135 William D Tate Avenue! We will be hiring for shift supervisor and assistant manager positions. ST. LOUIS, MO (KTVI)- If you're in the mood for frozen custard, Andy's Frozen Custard in Kirkwood is the place to be! This week the company is offering a free cone with the purchase of a $10 gift card. If you purchase a $20 gift card, you'll receive a free small concrete. Andy's is located at 311 South Kirkwood Road. They also have a third store coming soon on the corner of Hanley Road and Interstate 40 near Menard`s Shopping Center. Andy's Frozen Custard is a chain of United States frozen custard stores with locations in Arkansas, Missouri, Oklahoma, Texas and Illinois. Members of the band "KISS" stopped by our Andy's Frozen Custard location in Springfield, MO! We are so excited these rock stars enjoyed their treats! Fans wait for them all year. They line up at their favorite locations just to get a taste. When it’s this time of year, the communities with Andy’s Frozen Custard stores are buzzing. What’s the reason for all the frenzy? It’s Key Lime Pie and Peach Concrete season; two “limited-time only” treats that come around for a limited time once a year at Andy’s Frozen Custard. Just imagine, a whole slice of key lime pie blended with Andy’s fresh vanilla frozen custard. It’s a delicate sweet-and-sour harmony like nothing else on their menu. If peaches are more of your “cup-of-tea”, just wait until you try the Peach Concrete. The peaches are blended with fresh Andy’s vanilla frozen custard. These aren’t just any peaches. The peaches are REAL, and not the kind you find in syrup. So, why are these treats so popular with fans? Maybe it’s the whole slice of Key Lime pie and delicious peaches that are used in the concretes? Maybe it’s the fresh custard it’s blended with? Or, could it be, that it’s the two combined that makes the experience unlike any offered anywhere else? To get the inside scoop of these two popular summer-time treats, we ask Carol Kuntz herself, co-founder of Andy’s Frozen Custard, about what she thinks makes these treats summer favorites. “The peaches are a nice, delicate flavor. We sell them blended in a concrete, but my favorite way to eat them is on a sundae,” said Mrs. Kuntz. “We always like to try different flavors and since some of the toppings, such as peaches, are only available during certain times of the year, that’s when we have them as seasonal treats”. As with the peaches, the Key Lime Pie concrete is available because the ingredients used in the treat are at their peak during summer time. If you haven’t tried one of these “limited time only” treats, Carol invites you to come by and give them a try. Andy’s Frozen Custard has become one of the most-loved and recognized names in the industry. The company provides premium frozen custard products as well as sundaes, including their signature Ozark Turtle Sundae and James Brownie Jackhammer concrete. In 1986, John and Carol Kuntz founded the business in Osage Beach, Mo., and named it after their son and current president, Andy. Today, Andy’s Frozen Custard is the largest privately-owned frozen custard QSR in the country with more than 500 employees system-wide. Each Andy’s Frozen Custard location is open year round with an approach that has been fairly simple; hire great people, treat them right, and create a product that is made fresh every hour with only the finest ingredients. Andy’s Frozen Custard focuses on three main things: product quality, customer service, and community involvement. Now with locations throughout Missouri, Arkansas, Illinois, Oklahoma and Texas, these little custard shops offer customers a slice of hometown Americana, where “it’s fun to be a kid for a while!” For more information, locations and hours of operation, visit www.eatandys.com. 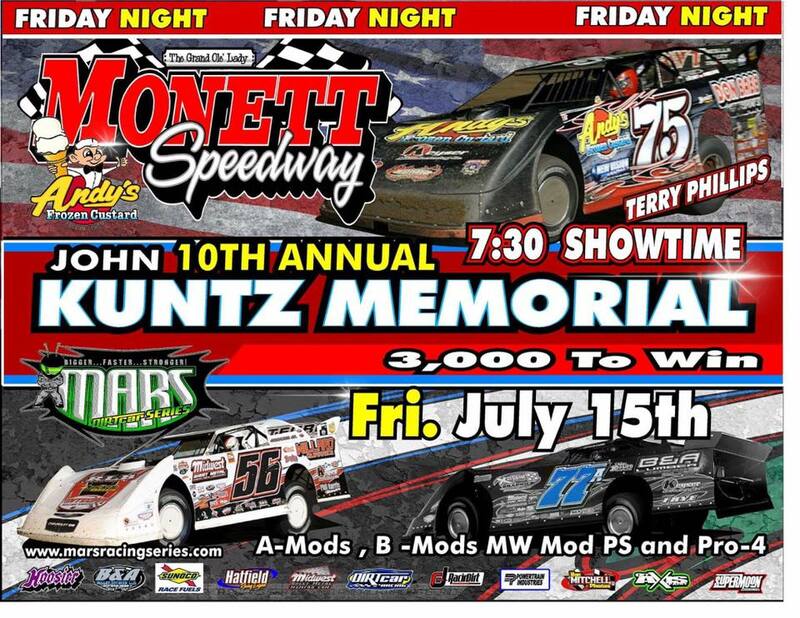 Andy’s Frozen Custard announces the return of the “John Kuntz Memorial Race” for the MARS series on Friday, July 15 at the Monett Speedway in Missouri. Gates open at 5:30 p.m., hot laps at 7 p.m., with the race beginning at 7:30 p.m. This event returns for the 10th year and has been a staple in the Andy’s Frozen Custard family. John Kuntz, founder of Andy’s Frozen Custard, was a huge supporter of area racing. In keeping with that tradition, the Kuntz family invites the community to join them for the race this Friday. $15-$20 for adults, $5 for ages 11-15, and FREE for children 10 and under with an adult. Andy’s Frozen Custard will be throwing out t-shirts to lucky fans, as well as Frisbees and treat cards. See you there! 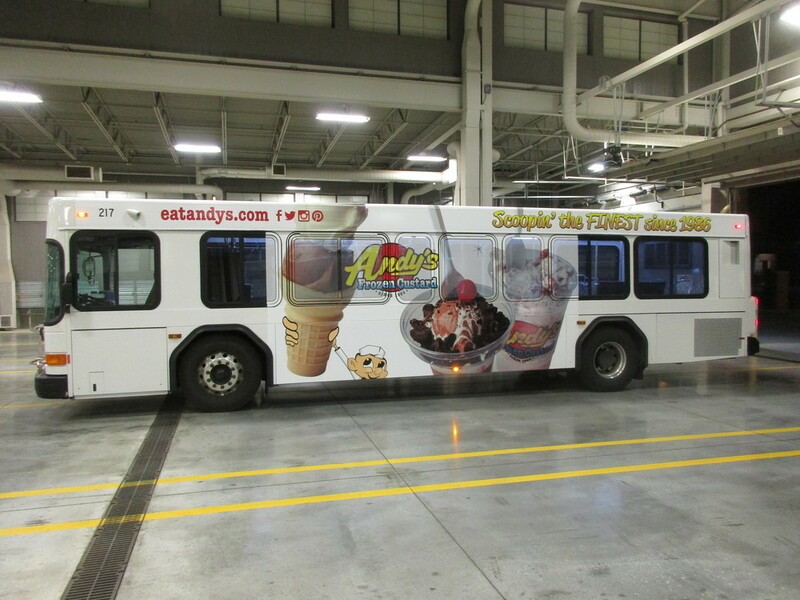 Commuters in the city of Springfield, MO will have eye-catching Andy’s Frozen Custard ads to look at on a bus for the next year, thanks to new transit advertising. Andy’s Frozen Custard is using transit advertising with Houck Transit Advertising for a year term through 2016. "It's great to see the Andy’s logo on a huge moving billboard,” said Charlie Buchanan, marketing manager of Andy’s. “It’s exciting to think that so many more of our fans can see our treats, no matter what route they take in the city.” The advertisement is on one bus, which has a monthly ridership of 125,000 residents in the city. The bus has a service area of 78 square miles in Springfield and operates 14 total routes, each changing day-to-day. This means, with Springfield’s population, the monthly impressions are 386,002 people! For additional information, images or general media inquiries please contact: Charlie Buchanan, marketing manager of Andy’s Frozen Custard (417) 881-3500 charlie.buchanan@eatandys.com or Cayce Wallace, account executive of Houck Transit Advertising.